So, you’ve been called upon to save the kingdom. Again. You’re eager to get out there and start gathering riches and bashing bad guys, but before you break a single pot you’d better be sure your sword arm is warmed up. After all, it’s dangerous to…well, you know. 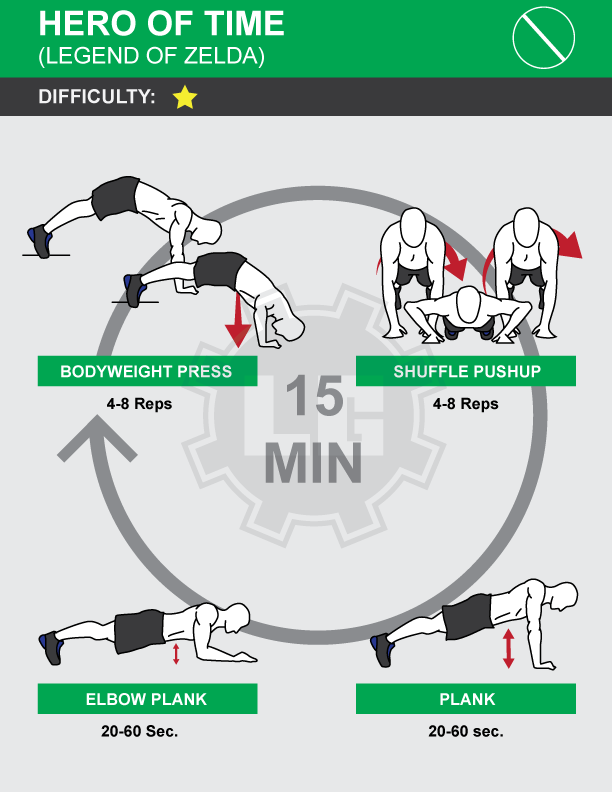 Perform these exercises as a circuit, resting as needed between circuits, and repeat for 15 minutes.